One of my favourite ways to feast in Sydney is by the water. There are so many stunning spots around Sydney Harbour that offer a great excuse for a long lazy lunch. The problem? Many are expensive (with mains around $45) and/or need to be booked weeks in advance. This is where Ripples come in. Over the last few years I’ve lost count of the number of times I’ve dined at one of the Ripples restaurants. Water views? Tick. Good value? Tick (mains $30-$35). Cheap wine? No need to worry – you can BYO wine. One caveat – don’t just rock up without a booking because, for the reasons I’ve mentioned, Ripples is popular. You don’t need to book a month out (unless you’re a large group) but give them a call around a week in advance. There are four Ripples restaurants on Sydney Harbour – Ripples Milsons Point, Ripples Chowder Bay, Ripples Sydney Wharf and Ripples Whale Beach. They’re all part of The Sydney Restaurant Group – which is owned by Bill Drakopoulos and includes Aqua Dining and Ormeggio at The Spit. Enough background. With only a month of summer left I was very easily persuaded by my hubby to be naughty on a school night. 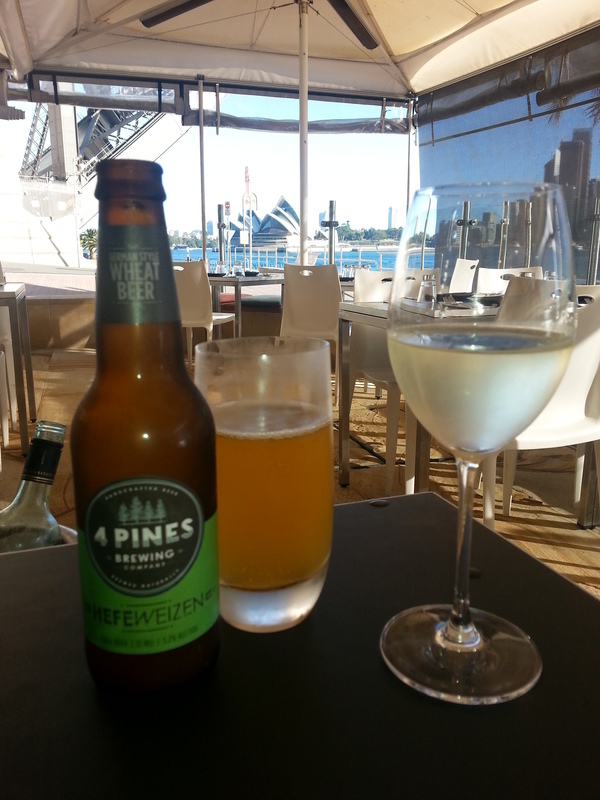 With only a few hours of notice we got into an early Sunday night dinner sitting at Ripples at Milsons Point. Ripples Milsons Point used to be the kiosk to North Sydney Olympic Pool. In 2002 it became an alfresco restaurant. The interior isn’t a reason to visit Ripples at Milsons Point. But the exterior is. The location is just steps from the water in front of North Sydney Olympic Pool and alongside the famous Luna Park entrance. Every table commands water views and from most you’ll also see the Harbour Bridge and Sydney Opera House. It’s all very impressive – so don’t forget your camera. 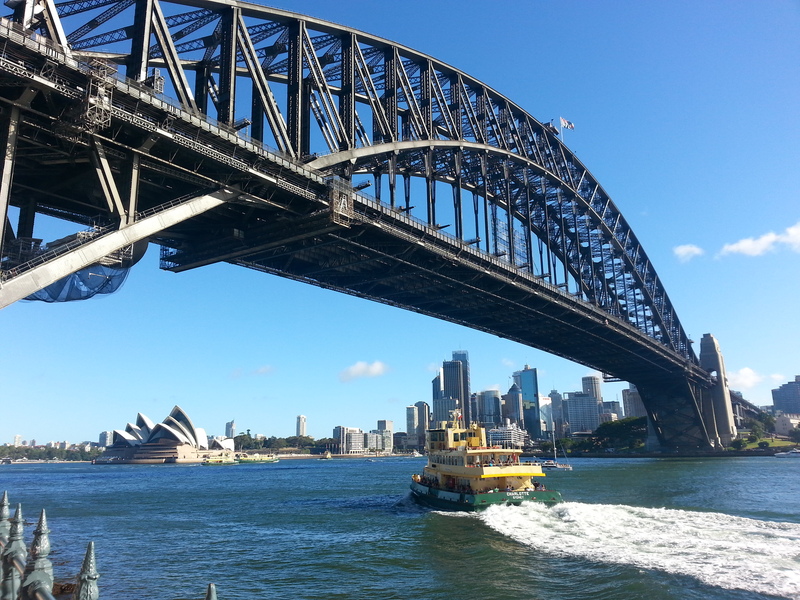 At lunch you’ll see day trippers cruising on Sydney ferries. And, in the early evening on a clear night you can watch the sunset. 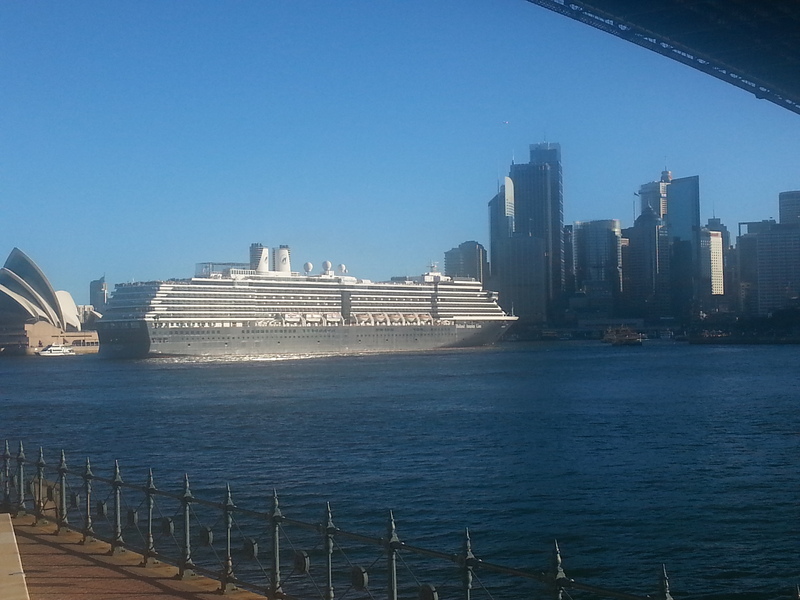 If you’re lucky, like me, you may even see a cruise liner departing Circular Quay for its next destination. On to the food. The menu at Ripples Milsons Point changed in late 2013. For the better in my opinion. 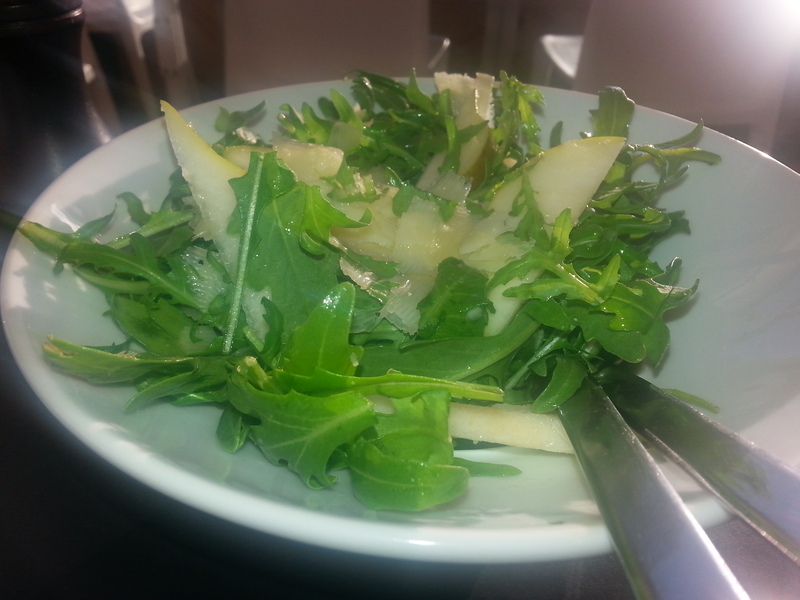 Previous visitors will remember the modern Australian cuisine offered under a menu that has stagnated. Back then you visited for the ambience, not the food. In 2014 the food is back on the radar and if you ask me the menu now knocks the socks off that at the Chowder Bay and Pyrmont locations. The Head Chef, Jeffrey Sue, joined in 2013. His experience in Sydney spans 10 years and he’s worked at high profile restaurants such as China Doll. He’s designed the menu at Ripples using the skills he developed whilst working under Alessandro Pavoni (the chef and owner at two-hatted Ormeggio). It’s now clearly an Italian menu. If you’ve read my other posts you won’t be surprised that I started with the mixed olives ($12). I was pleased to see the mix included tasty green Sicilian olives. 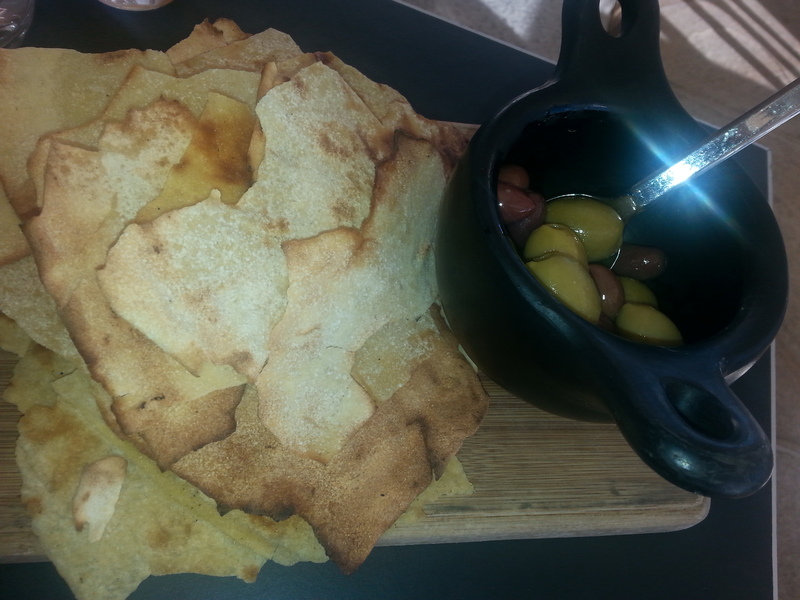 The olives are good but the stand-out on this well presented dish is the crispy flat bread. It’s light and crunchy and great over a glass of wine or a cold beer. Then onto the homemade meatballs ($20). Before diving in for one I couldn’t help notice the serving of five. So, we inevitably had the “who’s going to have the last one?” question. A serving of six would remove the risk of marital dispute. Our waiter said the meatballs were beef and pork. I was surprised veal wasn’t used. Overall a good dish, but could easily be improved by doubling or even tripling the amount of tomato sauce. For main course we seriously considered sharing the slow cooked lamb shoulder. However I’d actually cooked a lamb shoulder at home the night before – so for fear of a lamb overdose we both opted for a pasta dish. The pasta at Ripples is made fresh daily and that was enough to convince me to give it a go. 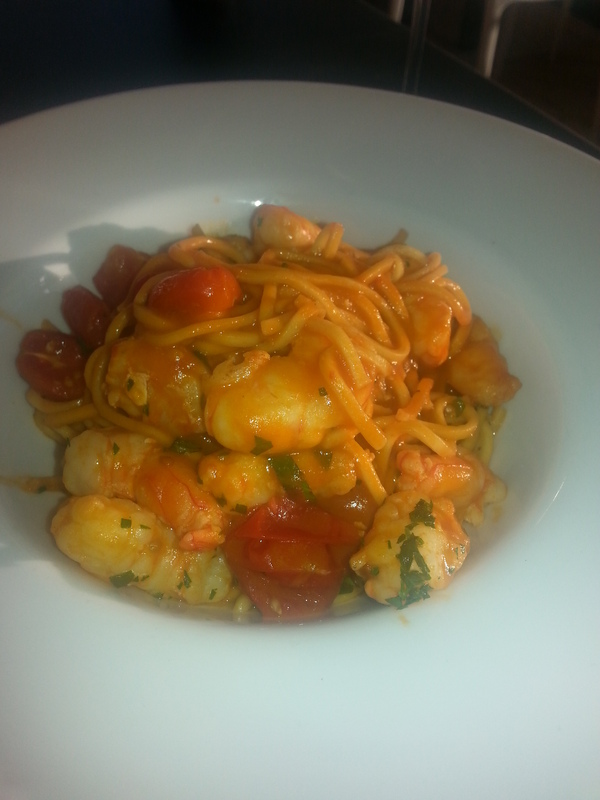 Being near the water I opted for the spaghettini with prawns, tomato and capers ($28). I was pleasantly surprised – the prawns were cooked well and there were plenty of them. The sauce was generous but not too rich and the pasta was excellent. 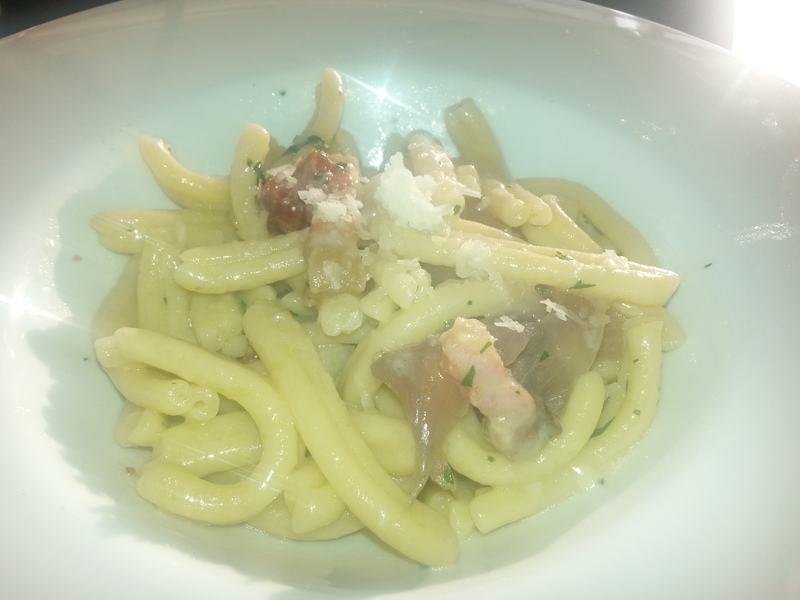 My hubby chose the fusilli with pancetta, Spanish onion, parmesan and herbs ($26). The pasta had obviously been made with lots of love. Each piece looked like it had been shaped by hand. Nevertheless he was visibly disappointed by the amount of pancetta and couldn’t seem to accept my argument that he should consider the fusilli the hero of the dish. We shared a couple of sides ($9 each). Both were as expected and complimented the pasta. With an early start calling the next morning the closest I got to dessert was checking out the menu. For me it would’ve been a close call between the classic tiramisu or the salted chocolate and caramel tart. What surprised me most was the service. It’s really up there with what I’d expect from a more formal waterside venue. The waiters, most of whom appear to be Italian, are attentive and friendly. Our wine (and water) glasses were never close to empty and a request for extra parmesan was quickly fulfilled. They were even good enough to let us know that they didn’t need the table back for 8pm (a condition of the booking) and we could sit as long as we liked. For those of you thinking ‘Can I still order the famous Ripples fish and chips?’ Don’t panic. 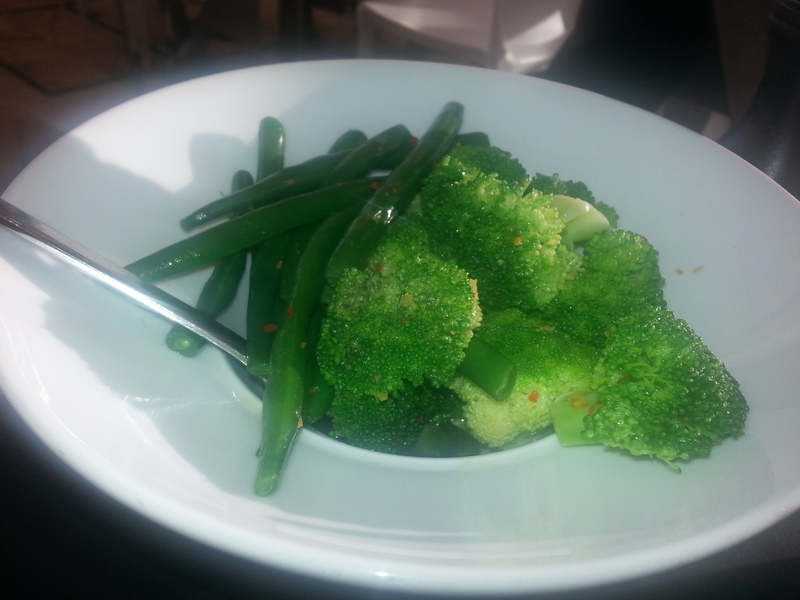 The waiter said this was the one dish they couldn’t drop – for fear of an uproar among long time regulars. At first they just made it look fancier – but even that didn’t last long. It’s now served as it’s always been – a huge serve of chips in a big bowl with battered fish on top. Plan a wedding or a private event at Ripples – all venues cater for functions. At Milsons Point they can accommodate for a sit down style meal or a cocktail style function (up to 80 guests). Group reservations for 10-20 are available. The banquet menu applies and it’s $65 per person inclusive of eight signature dishes (designed for sharing). Remember that set seating times apply. This typically means you’ll have a table for a two hour window. To avoid this visit on a weekday or go for the latest sitting. If bad weather threatens, the restaurant is equipped with heaters as well as clear PVC awnings so don’t let any looming clouds or a winter chill put you off. 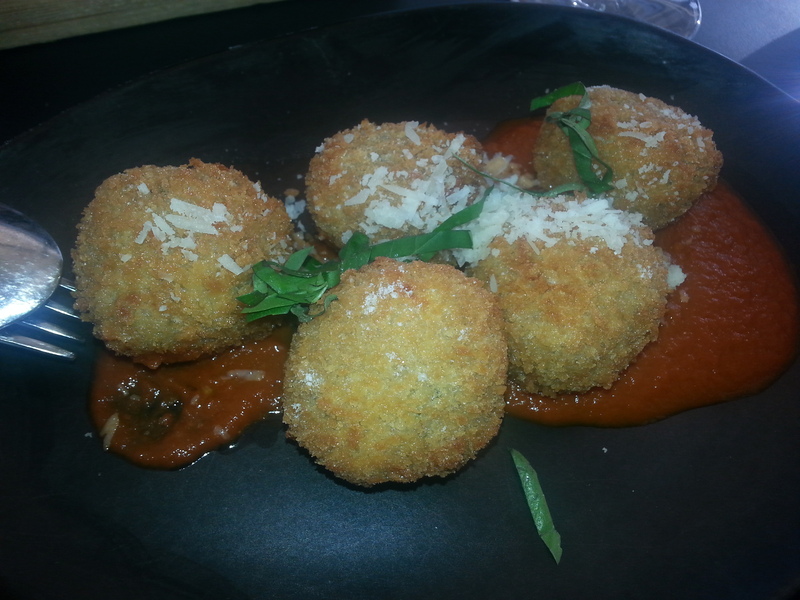 Tags: milsons point, review, Ripples restaurant, Sydney, Sydney harbour. Bookmark the permalink. i love ripples, the seafood is always so fresh!